It happened. 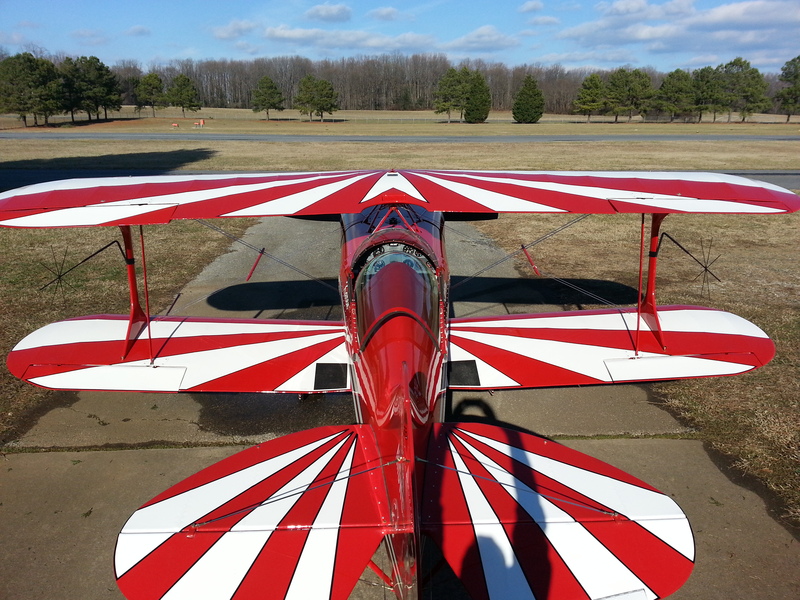 My mind is blown and I am officially in karma-debt: I’m the proud owner of a beautiful Pitts Special S-1S aerobatic biplane. In my wildest dream the plan was to maybe hope to start looking for an airplane in late 2014. I’m so far ahead of plan I’m completely overwhelmed in the best possible way. I’m not even ready to fly it yet. I have my tailwheel endorsement (but only 15 hours total tailwheel) and a few more Pitts-transition hours with Bill and I’m almost ready. I’m also dedicating the time and money for Bill’s Spin & Emergency Recovery course. I consider it required training and the best insurance available, not to mention just plain fun. In the mean time I have a few small projects I can work on. Replacing the flat wooden seat pan with an aluminum sling similar to the production builds. I’ll go with a seat-pack chute to get back far enough to get my knees out of the panel and the new seat pan should get me down another inch or so. Order a Quiet Technologies Halo in-the-ear headset which will give me a bunch more headroom compared to the Telex Stratus 50D behemoth earcup ANR. New vinyl lettering to apply to the cockpit panels. It was already in beautiful condition so I’m cleaning, polishing, and waxing now so when I’m ready to fly I can concentrate on the flying for a few months. It was homebuilt in 1993 and I’m the third real owner, including the builder. 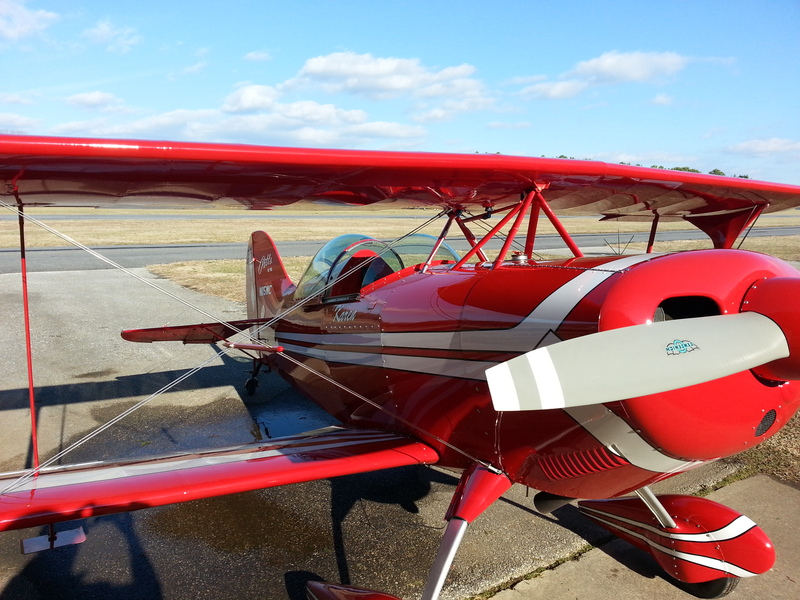 Tagged aerobatics, pitts, pitts special, s-1s, tailwheel. Bookmark the permalink.